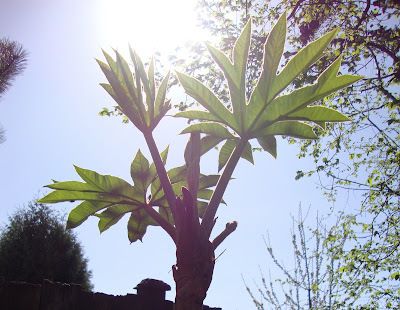 Last week I mentioned a desire to see my Tetrapanax spread, I dream of a small Tetrapanax forest. Are those little Tetrapanax babies? Maybe I am going to have a Tetrapanx forest after all! Wow, it looks like it to me! Congratulations, Loree, I think you're going to be a Tetrapanax godmother! I couldn't say for sure, but it sure looks promising! Maybe it's a good thing they are in a container, that could really be an imposing forest in the ground!!?? Be careful what you wish for. 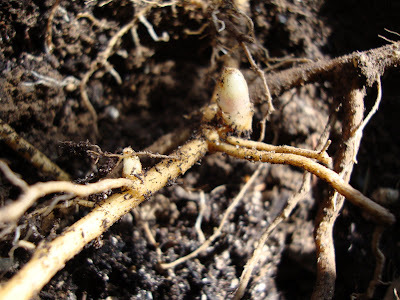 This plant will spread, but it is not hard to keep up with. 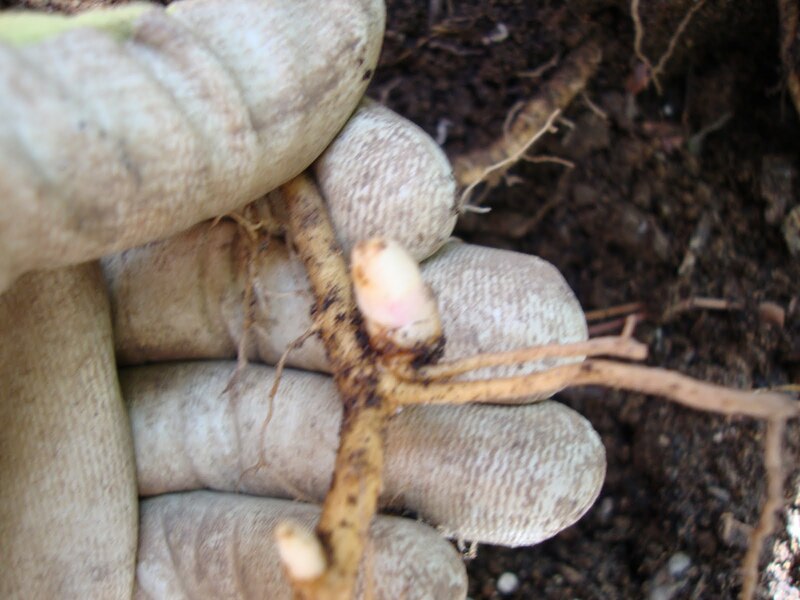 Mine had about a dozen babies last year, they were very easy to dig up and pot to give away or move. Probably, I hear they spread even more when you dig around their roots. I tried transplanting a division that I took from one of my runners this year, hoping the new home I've given it will make it happier than the spot where I'm not getting much success, I'll see how that turns out. I'm going for that forest, too. Les, I am hoping it's the same for me, that when the babies occur if I don't want them I can easily dig them up. Evelyn, they are great! Especially when they reach 3 ft across! Megan, ha! I had not heard that. Maybe it's a good thing then that the Echium is destined to be an annual here in Portland. You go girl! 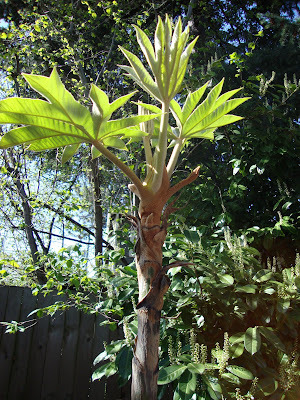 Now I'm thinking I should do a little detective work on my tetrapanax. Grace, I'd love to hear what you find! Yes, those are the babies. 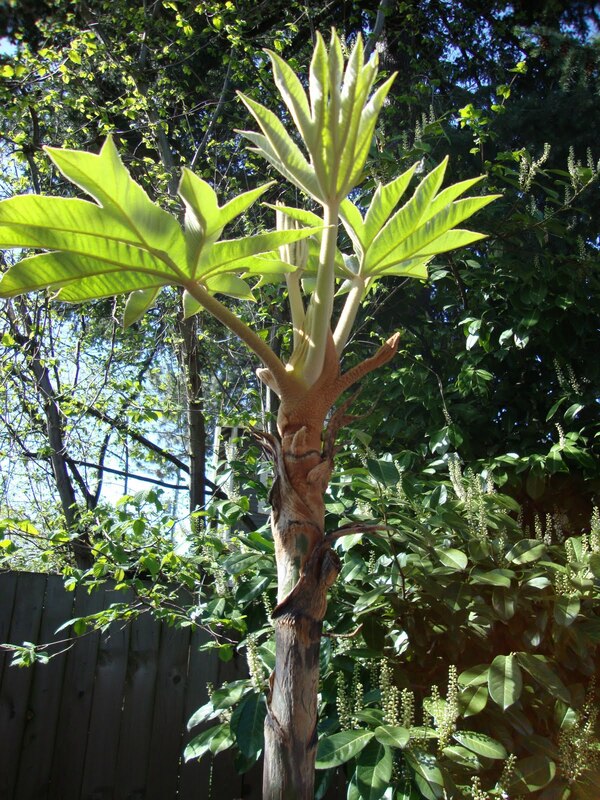 I bought a Tetrapanax several years ago and they are spreading. They have survived the heavy frosts we had in 2009 & 2010. The initial plant is now about 8' tall and there are 5 others (4' tall) around it (we removed a few others already). It flowered this last year (fall 2010) but I don't believe they fully opened before the snow in November. Really beautiful plant. danger garden is 1 year old!